The Garden Farms Foundation is the nonprofit arm of Garden Farms, an organization that builds gardens at residential and commercial lots and then sends farmers to teach people how to grow food in their own space. The Garden Farms Foundation serves 48 active school garden programs in the area, Portillo said. Many of the students from those schools were at the event. 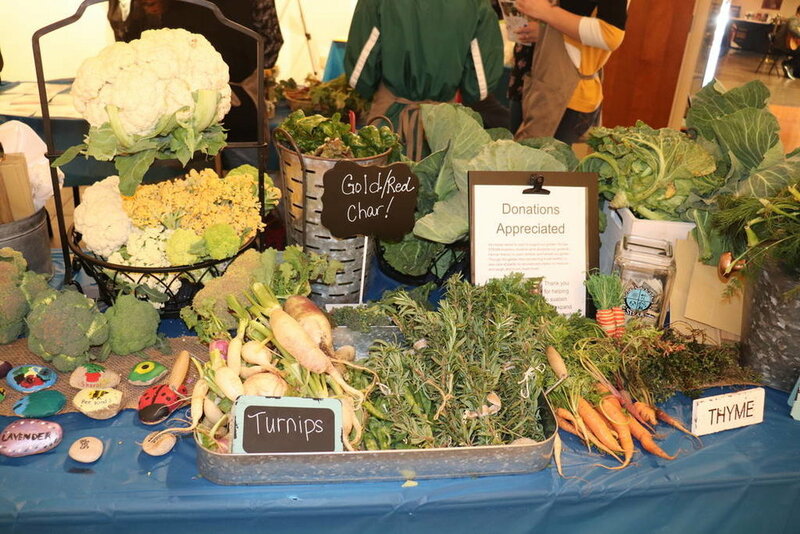 The foundation teamed with the library to present the three-hour market, which featured seven schools, about 50 students and more than 125 pounds of fresh produce, Portillo said. Payton Gallow, a fourth-grader at McCaw STEAM Academy, said school gardens teach students healthy eating habits early on. Payton and Camila Godinez, also a fourth-grader at McCaw, won the Cabbage Cup, which followed a cabbage-weighing contest. “This helps us learn to care for nature and how to plant vegetables and any plants we want,” Camila said. Portillo said she hopes to have more off-campus markets. Contact Mia Sims at msims@reviewjournal.com or 702-383-0298.Follow @miasims___ on Twitter.